Of all manufactured products recycled in America today, automobiles are the number one item on that list. Recycling cars puts nearly 12 million tons of steel back into the supply chain and helps reduce energy consumption and pollution in a number of ways. It can also help put some extra money in your pocket if you have an old clunker taking up space in your driveway. Here are a few things to keep in mind when you are ready to recycle an automobile, whether you’re an individual or the owner of an auto repair shop. When planning to bring in your car, truck, motorcycle or other motor vehicle to Alton Materials for scrapping, you’ll need to provide a signed and dated title for it. You must also bring in any documents concerning any liens associated with the vehicle, especially if it was ever used as capital for a “quick loan” or something similar. Remove all trash from inside the vehicle, truck bed included. It doesn’t need a through scrubbing or vacuuming, but any large debris or miscellaneous items should be disposed of prior to your visit. Drain and remove the gas tank. A $40 deduction will be applied to its value if you haven’t done this. Make sure to reference guidelines on the proper way to do this. All fluids must be drained from the vehicle. Any oil or antifreeze remaining will result in a $30 deduction to your vehicle’s scrap value. Make sure to reference guidelines on the proper way to do this. Don’t worry about the tires. While many scrap dealers charge a fee to dispose of them, Alton Materials accepts up to four tires and a spare without charging our customers a single penny. While Alton Materials is happy to accept most metal auto parts as scrap, catalytic converters are a special case. Because of their popularity among thieves, we do not accept catalytic converters brought in individually or in bulk unless a dealer’s license can be provided by the seller as proof of ownership. No exceptions, sorry. Running an auto repair shop can result in a fair amount of replaced engine parts, old doors and panels, and even a few abandoned vehicles from time to time. Turning that scrap in to a metal recycler can certainly benefit the shop’s bottom line, but some don’t have the resources to move a lot of bulky material efficiently. With just a call to Alton Materials, we’ll service any auto-mechanic’s shop by providing pick-up of all scrap materials and transporting it to one of our St. Louis area recycling facilities. Once it’s there, we’ll identify, weigh, and pay a fair, competitive price for everything we’ve taken away, leaving our customers with a cleaner shop and a boost to their income. 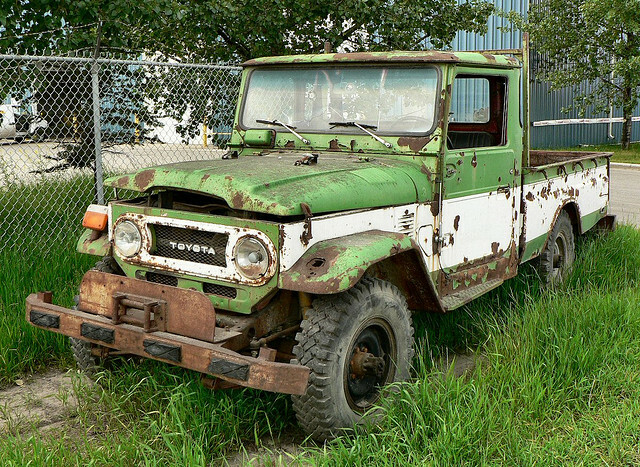 Automobile recycling can provide a huge benefit to not only our natural resources but your financial resources as well. If you’re considering scrapping any vehicles or parts you’ve collected, contact Brian at Alton Materials by phone or through our Contact Us page for more information on how we can help.